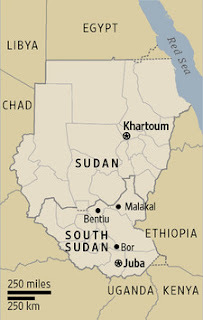 South Sudan gained independence from Sudan in July 2011. 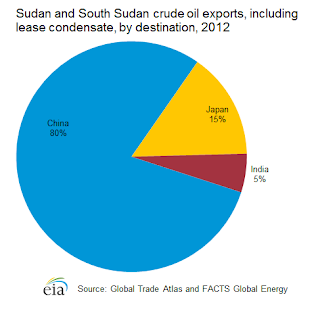 Most of the oil is now produced in South Sudan, but the country is landlocked and remains dependent on Sudan because it must use Sudan's export pipelines and processing facilities. 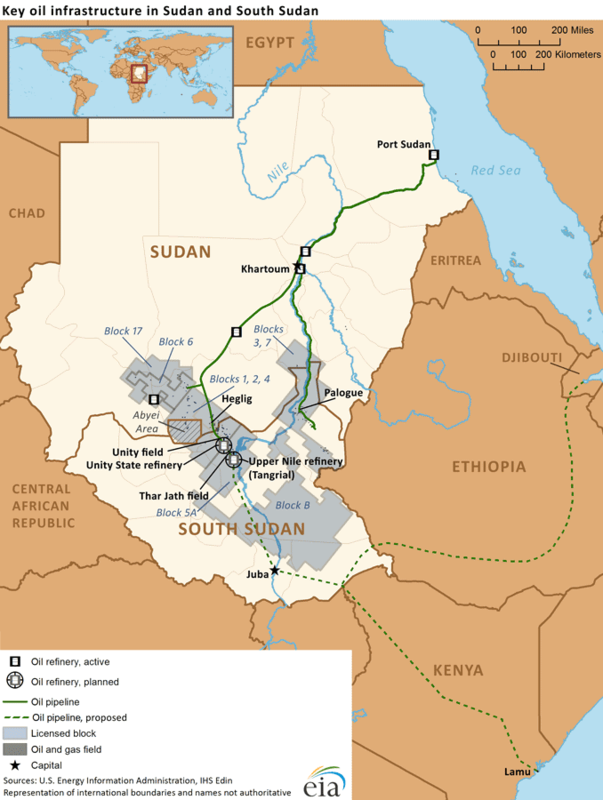 In early 2012, South Sudan voluntarily shut in all of its oil production because of a dispute with Sudan over oil transit fees. Following South Sudan's secession, Sudan requested transit fees of $32-36/barrel (bbl) in an attempt to make up for the oil revenue loss, while South Sudan offered a transit fee of less than $1/bbl. After nearly 15 months of intermittent negotiations, South Sudan restarted oil production in April 2013. Despite the progress that has been made to reconcile differences, several unresolved issues remain and production may be curtailed again in the future. Oil plays a vital role in the economies of both countries. According to the International Monetary Fund (IMF), oil represented around 57 percent of Sudan's total government revenue and around 78 percent of export earnings in 2011, while it represented around 98 percent of total government revenues for South Sudan in 2011. According to the Oil & Gas Journal (OGJ), Sudan and South Sudan have 5 billion barrels of proved crude oil reserves as of January 1, 2013. According to BP's 2013 Statistical Review, approximately 3.5 billion barrels are in South Sudan and 1.5 billion barrels are in Sudan. The majority of reserves are located in the oil-rich Muglad and Melut basins, which extend into both countries. Oil is transported through two main pipelines that stretch from the landlocked South to Port Sudan. 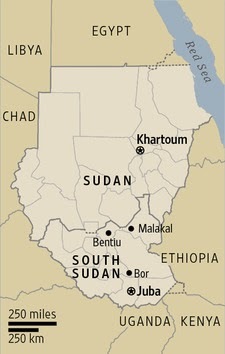 Because of civil conflict, oil exploration prior to the 2011 independence was mostly limited to the central and south-central regions of the unified Sudan. Natural gas associated with oil fields is mostly flared or re-injected. Despite proven reserves of 3 trillion cubic feet, gas development has been limited. In 2010, the unified Sudan flared approximately 11.8 billion cubic feet of natural gas, according to the latest data from the National Oceanic and Atmospheric Administration (NOAA), which represents about 0.2 percent of the total gas flared globally. International oil companies (IOCs), primarily from Asia, dominate the oil sectors in both countries. They are led by CNPC, India's Oil and Natural Gas Corporation (ONGC) and Malaysia's Petronas. These companies hold large stakes in the leading consortia operating in both countries: the Greater Nile Petroleum Operating Company, the Dar Petroleum Operating Company, and the Sudd Petroleum Operating Company. Total oil production reached its peak of 486,000 bb/d in 2010, but declined to around 453,000 bbl/d in 2011. The fall in output was driven by production declines due to maturing oil fields and lack of investment in Sudan, as well as a shortage of skilled workers in South Sudan in 2011. Sudan has two export pipelines that travel northbound across the country to the Bashayer (Bashair) Marine Terminal, located about 15 miles south of Port Sudan. The Petrodar pipeline transports the Dar Blend, a heavy sweet crude, from South Sudan's Blocks 3 and 7. The Dar Blend sells at a discount to the Nile Blend along with Brent, the international benchmark for the crude oil price. The pipeline stretches 850 miles, and its design (maximum) capacity is 500,000 bbl/d. It includes several heating units along its length because of the waxy, acidic nature of the crude. The Petrodar pipeline was reportedly filled with water during the time that oil production was shut down. The GNPOC pipeline transports the Nile Blend, a medium, low-sulfur waxy crude oil, 1,000 miles from the Heglig processing facilities to the Bashayer Marine Terminal. The pipeline has a design capacity of 450,000 bbl/d. The Nile Blend is sourced from Blocks 2 (Heglig and Bamboo fields) and 4 (Diffra and Neem fields) in Sudan and Blocks 1 (Unity field) and 5A (Mala and Thar Jath fields) in South Sudan. Sudan and South Sudan export the Nile and Dar blends mostly to Asian markets. According to estimates based on data from Global Trade Atlas and FACTS Global Energy, total crude oil exports, including lease condensate, averaged around 337,000 bbl/d in 2011. China imported 260,000 bbl/d from Sudan in 2011, which accounted for 5 percent of total Chinese crude imports, according to FACTS Global Energy. During segregation, Blacks were forced to start and support the businesses in their own communities. Many of these businesses flourished and even helped made some Black communities, such as the Greenwood community in Tulsa, Okla., (often called Black Wall Street), wealthier than their white neighbors. In 1865, just after Emancipation, 476,748 free Blacks – 1.5 percent of U.S. population– owned a .005 percent of the total wealth of the United States. Today, a full 135 years after the abolition of slavery, 44.5 million Black Americans – 14.2 percent of the population — possess a meager 1 percent of the national wealth. In 1965, only 8 percent of childbirths in the Black community occurred out of wedlock. In 2010, that figure was 41 percent; and today, out-of-wedlock childbirths in the Black community is at an astonishing 72 percent. Since integration, the unemployment rate of Black men has been spiraling out of control. In 1954, white men had a zero percent unemployment rate, while African-American men experienced about a 4 percent rate. By 2010, it was at 16.7 percent for Black men compared to 7.7 percent for white men. Colorblind policies that treat everyone the same, no exceptions for the historically oppressed and disenfranchised, are often used to argue against corrective policies such as affirmative action. But “colorblindness” today merely bolsters the unfair advantages that color-coded practices enabled white Americans to accumulate over a very long time. African-Americans have appealed to the descendants of our oppressors to right their ancestors’ wrongs, pay us sufficient wages to take care of our families, educate our children and police our neighborhoods. As a result, only 2 percent of all working Black Americans work for another Black person within their own neighborhood. Because of this, professionally trained Black people provide very little economic benefit to the Black community. The U.S. Environmental Protection Agency (EPA) is currently accepting applications for environmental education projects under the agency’s Environmental Education Grant Program. The program works to engage communities across the country through a wide variety of educational projects that have a lasting impact on people’s health by facilitating environmental stewardship. Projects in the past have engaged students in stream monitoring, created sustainable mentoring communities, and provided professional development to teachers on subjects including science, technology, engineering and math. Eligible organizations include local education agencies, colleges or universities, state education or environmental agencies, tribal education agencies, 501(C)(3) nonprofit organizations, and noncommercial educational broadcasting entities working in education. We applaud the Senate for confirming Congressman Mel Watt to head the Federal Housing Finance Agancy. Watt was confirmed on a vote of 57 to 41 vote and his confirmation was made possible because of the imlementation of the nuclear option - - changing the Senate rules to allow majority vote instead of 60 votes (invoking cloture--to end debate). Congressman Watt has 40 years of experience in the housing sector and we believe he will be instrumental in solving the problems that plague Fannie Mae and Freddie Mac. The New School has announced that Michelle J. DePass has been named dean of the Milano School of International Affairs, Management, and Urban Policy. 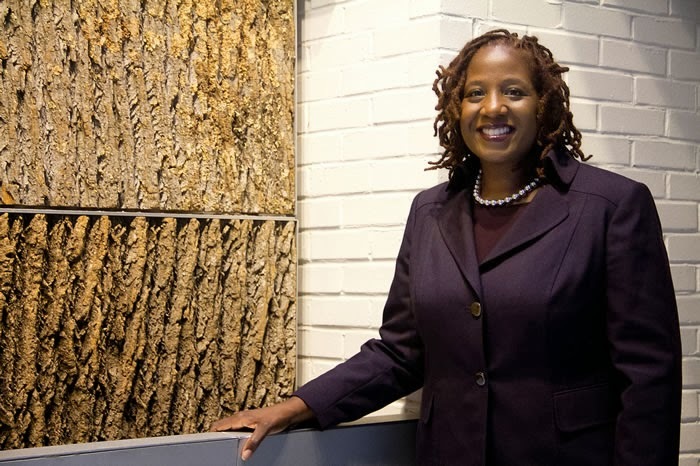 Michelle J. DePass will also be the Tishman Professor of Environmental Policy and Management as part of her appointment. DePass will join Milano from the Environmental Protection Agency (EPA), where since 2009 she has served as Assistant Administrator for International and Tribal Affairs. In this presidentially appointed, senate-confirmed position, DePass has been responsible for all dimensions of environmental policy between the EPA and other nations, federally recognized tribal nations, and multilateral institutions and donors. Prior to joining the EPA, DePass was a Program Officer at the Ford Foundation, with a portfolio focused on the environment and community development, most notably green economy and climate change, environmental health and justice and indigenous environmental rights. 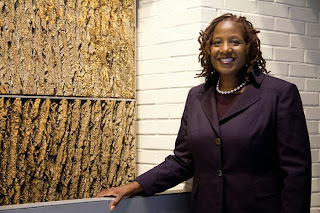 In her two-decade career in sustainability and public service, DePass has also served as founding Executive Director of the New York Environmental Justice Alliance, Senior Policy Advisor to the commissioner of the New Jersey Department of Environmental Protection, and environmental manager for the City of San Jose. DePass holds a bachelor’s degree from Tufts University, a Juris Doctor from Fordham Law School and a Master of Public Administration from Baruch College, where she was a National Urban Fellow. Washington Examiner: "Divestment From Fossil Fuel Firms Will Hurt DC Residents Without Helping Environment"
One of AAEA's primary goals is to use energy and natural resources as efficiently as possible. We reject campaigns by some environmental groups to completely eliminate the use of fossil fuels. Such campaigns are promoting unrealistic, impractical and radical approaches to energy use. Although we aggressively support renewable technologies to operate our society, these sources alone cannot provide the amenities required by Americans. Fossil fuels are, and should remain, a vital part of the energy mix in America and throughout the world. Global warming is a very important issue and AAEA is working very hard to mitigate its negative consequences. We believe that technological innovations provide the best opportunities for reducing greenhouse gas emissions into the atmosphere. AAEA is promoting multiple approaches and technologies to address climate change. Coal, natural gas and gasoline provide the energy that powers America. 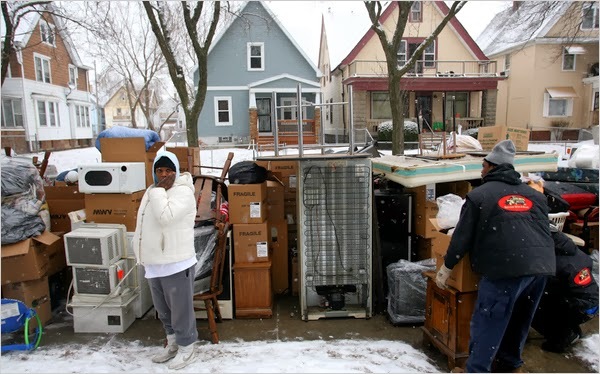 To call for their complete elimination is to call for significantly reducing the standard of living in the United States. Why divest from resources that provide incredible benefits to American society? Why divest from stocks that provide dependable and profitable returns? We hope you will find the information below on fossil fuel divestment campaigns to be useful. A hearing on DC Bill 20-481, Fossil Fuel Divestment Act of 2013 was held on Tuesday November 26th. The bill requires the divestment, and prohibits the investment, of public funds in the stocks, securities, or other obligations of certain companies which hold the largest fossil fuel reserves and provides for the identification of companies with the largest fossil fuel reserves. D.C. Council Chairman Phil Mendelson, along with four others, is sponsoring the measure. This is similar to efforts in other cities. Pension funds and colleges/universities have enjoyed strong returns from their investments in America’s oil and natural gas companies over the last decade. State pension fund investments in oil and natural gas companies are providing very healthy returns for teachers, firefighters, police officers, and other public pension retirees, far outperforming other public pension holdings. A series of studies have found that while 2.1 percent of endowments in fiscal year 2010-2011 were oil and gas stocks, that 2.1 percent generated 5.7 percent of all endowment gains. During that period, oil and natural gas stocks achieved returns of almost 53 percent, far better than the pension funds and endowments’ performance as a whole and the performance of the S&P 500. While oil and natural gas stocks made up an average of 4.6 percent of holdings in the top public pension funds, they accounted for an average of 15.7 percent of the returns in these funds over a five-year time period for the 48.1 percent of U.S. workers who participate in state and local government pension plans. In fact, they also outperformed as a whole and outperformed every other asset class examined in their investments. The City of San Francisco recently rejected a proposal to divest. Harvard University announced that the institution will not divest from the fossil fuel industry. The President of Harvard said that the “strength and growth” of the endowment, which pays for more than one-third of Harvard activities each year, is crucial to the support and opportunities the university can provide to its students, faculty, and researchers. Yale and many other schools have turned down this idea. BlackPast.org, an online reference center, makes available a wealth of materials on African American history in one central location on the Internet. 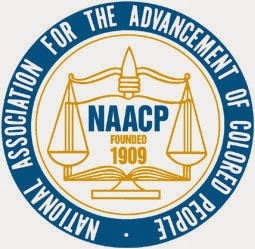 These materials include an online encyclopedia of nearly 3,000 entries, the complete transcript of nearly 300 speeches by African Americans, other people of African ancestry, and those concerned about race, given between 1789 and 2012, over 140 full text primary documents, bibliographies, timelines and six gateway pages with links to digital archive collections, African and African American museums and research centers, genealogical research websites, and more than 200 other website resources on African American and global African history. Additionally, 100 major African American museums and research centers and over 400 other website resources on black history are also linked to the website, as are nine bibliographies listing more than 5,000 major books categorized by author, title, subject, and date of publication. It also features a Perspectives Online Magazine which features commentary of important but little known events in black history often written by the individuals who participated in or witnessed them. To date more than 100 articles have appeared. The compilation and concentration of these diverse resources allows BlackPast.orgto serve as the "Google" of African American history. BlackPast.org brings the resources of African American history into every classroom in the world. It also makes every computer, regardless of its location, a classroom in African American history. BlackPast.org is dedicated to providing the inquisitive public with comprehensive, reliable, and accurate information concerning the history of African Americans in the United States and people of African ancestry in other regions of the world. It is the aim of the founders and sponsors to foster understanding through knowledge in order to generate constructive change in our society. We want a vote as soon as possible on the nomination of Mel Watt to be the regulator of taxpayer owned mortgage giants Fannie Mae and Freddie Mac. The nation needs Rep. Watt’s talents and leadership at the FHFA. We urge the Senate to vote to confirm him. Republican opposition has left his nomination in limbo for months. Fortunately, on Monday, Senate Majority Leader Harry Reid filed cloture on the nomination, setting up a vote later this week. Democrats will need 60 votes to shut off debate and move to a vote on the Watt nomination. Watt faces a time crunch because if he feels his nomination is a lost cause and wants to run for reelection the filing deadline in North Carolina is Feb. 28. As a sitting Member of Congress, Watt deserves the courtesy of an up-or-down vote. Rep. Watt is highly qualified to head the FHFA. He brings 40 years of experience in housing and finance to the position of FHFA Director. As a 20-year member of the House Financial Services Committee, and a member of the Subcommittees on Capital Markets and Government Sponsored Enterprises and Financial Institutions and Consumer Credit, he oversees housing, banking, insurance and other financial services matters. In addition to his public service as a Member of Congress, Mr. Watt, a graduate of Yale Law School, spent more than 20 years practicing law in North Carolina with a particular focus on business and real estate law. Further, he was a former small business owner who understands both the practical and policy aspects of access to credit issues. News One Now, the first morning news program in history to focus on news and analysis of politics, entertainment, sports, and culture from an explicitly African American perspective, will premiere on TV One Monday, November 4 at 9AM/ET. Roland Martin, the 2013 National Association of Black Journalists’ Journalist of the Year and former host of TV One’s long-running, award-winning weekly news program, “Washington Watch with Roland Martin”, leads News One Now doing what he does best: sifting through the headlines of the day to spotlight matters that greatly impact the African American community. News One Now is an evolution of the award winning digital brand NewsOne.com. 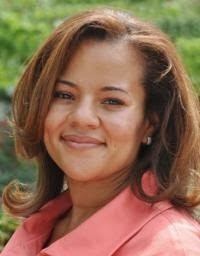 Launched in 2008, NewsOne.com has seen meteoric growth, currently reaching two million African Americans every month. 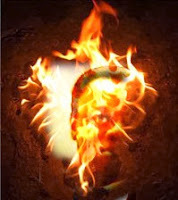 The television show represents a blend of digital and broadcast, leveraging the engaged audience of NewsOne.com and featuring an interactive, immersive experience. Enlisting the help of news makers, media stars, authors, celebrities, filmmakers, comedians and others, News One Now will be a jam-packed, live one-hour weekday morning news program driven by news headlines, on-set panelists, Skype-net interviews, social media integration, standing segments and discussion of the top mainstream media stories of the day, as well as more obscure stories that touch the African American audience nationwide. EBONY® Magazine, the curator of the African-American experience, past, present and future, today announced that it will host a gala event in New York City at Jazz at Lincoln Center’s Frederick P. Rose Hall on Monday evening, November 4, 2013 to celebrate the honorees on its annual EBONY Power 100 list. This is the second year that the event is presented by Nationwide Insurance. 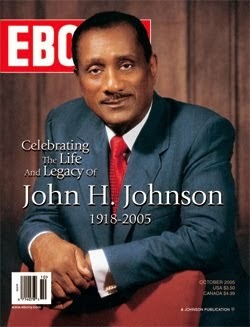 The EBONY Power 100 list salutes the achievements of the most influential African-Americans in the country. Among the game changers honored this year are President Barack Obama, actress Kerry Washington, NBA legend and entrepreneur Earvin "Magic" Johnson, actor Michael B. Jordan, film director Lee Daniels, chefs Marcus Samuelsson and Roblé Ali and activists Harry Belafonte and Marian Wright Edelman. 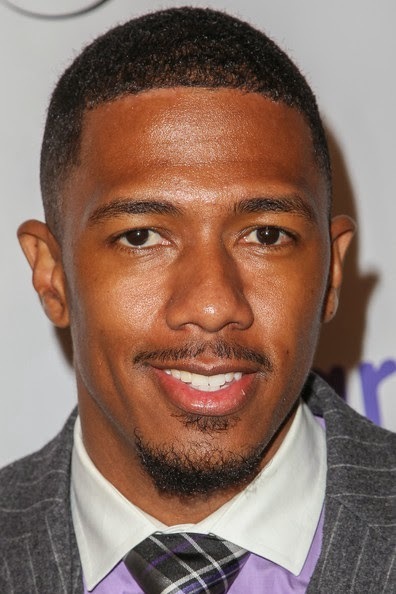 Hosting the star-studded evening will be Power 100 list honoree Nick Cannon, the multi-faceted entertainer, actor, DJ, comedian and musician. For the past five seasons, Cannon has served as the host of "America's Got Talent," NBC's top-rated summer reality competition series. 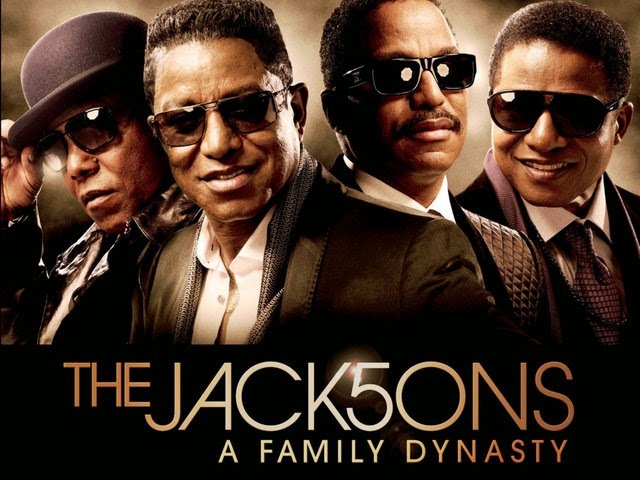 The Motown themed evening will include a special performance by The Jacksons, one of the biggest acts in pop music history. The Jackson brothers—a preteen Michael, Jermaine, Tito, Marlon and Jackie—found their way to Berry Gordy’s hit-making Motown Records in the late 1960s. 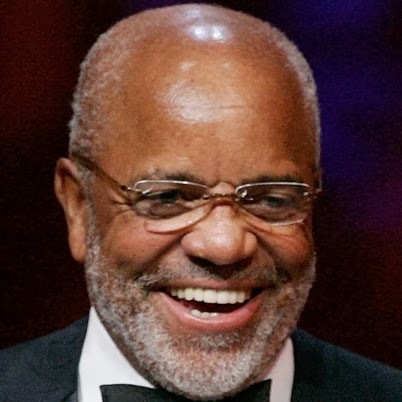 Also scheduled to appear is the cast of Berry Gordy’s four-time Tony Award-nominated Broadway hit “Motown The Musical,” and famed American rockjazz pianist ELEW. DJ KISS, who has spun for many of the world’s biggest celebrities and added her signature sound to the hottest fashion, music and charity events, will play throughout the evening and at the after-party along with Cannon. James Beard Award-winning chef and author Marcus Samuelsson, owner of Red Rooster Harlem in New York City, is designing the menu for the gala. 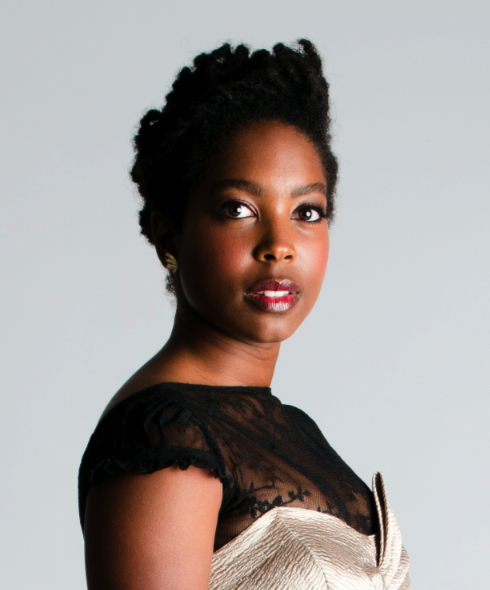 The internationally acclaimed Samuelsson, who was also named to the EBONY Power 100 list, has cooked for President Obama, served as a judge for “Chopped” and has recently joined the second season of "The Taste" as a mentor. He is also the youngest chef ever to receive a three-star rating from The New York Times. In addition to Nationwide, EBONY Power 100 Gala sponsors include United Airlines,Chevrolet, Ariel Investments, and McDonald’s. Wines for the evening are generously provided by Coral Brown of Brown Estate Vineyards, Napa Valley. 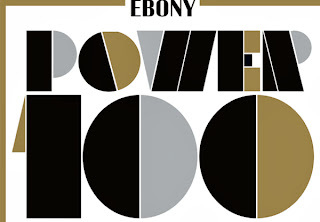 The 2013 Power 100 list will appear in the December/January issue of EBONY on newsstands the week of November 4. The full list of the EBONY Power 100 can be found here. The Compton To Catalina Program is sponsored by Southern California Edison. Below is my statement in support of the National Harbor regarding its water permit. Good evening. My name is Norris McDonald and I am the founder and president of the African American Environmentalist Association. The African American Environmentalist Association, founded in 1985, is an environmental organization dedicated to protecting the environment, enhancing the human ecology, and promoting the efficient use of natural resources. I have lived in Prince George’s County for 18 years. I have worked in the environmental field for 21 years. I was chairman of the Prince Georges County American Civil Liberties Union (ACLU) for two years. I taught a NEPA (National Environmental Policy Act) course for the United States Department of Agriculture (USDA) Graduate School in 1997. I am the author of comprehensive report on pollution in Washington, D.C. I also served on two governor-appointed environmental councils: 1) Maryland Advisory Council on Environmental and 2) the Potomac Middle Tributary Strategy Implementation Team. AAEA supports the development of the National Harbor project. We support the project because it will provide maximal socioeconomic benefits with minimal environmental impacts. We believe that, like Washington, D.C. east of the Anacostia River, Prince George’s County lacks certain amenities that are clearly included in the National Harbor project. AAEA will continue to support relatively low-impact retail/commercial projects developed in a Brownfields context that serve to prevent sprawl. We also believe that this is the type of project Governor Parris N. Glendening had in mind in his Smart Growth and Brownfields initiatives. This permit application provides a monetary compensation for the displacement of the intermittent nontidal streams and intermittent nontidal wetlands at the location. The proposal meets all State requirements and has been submitted with MDE guidelines related to nontidal wetlands mitigation. The monetary contribution of $121,000 is more than adequate to cover the necessary nontidal streams and wetland replacement costs. Maryland has adopted a goal of achieving no net loss of nontidal wetlands. Any wetland loss after December 31, 1990, regulated under state law, must be offset by mitigation. MDE may accept monetary compensation if it determines that mitigation is not a feasible alternative. The Chesapeake Bay Agreement of 1987, as ratified by the Maryland legislature (Nontidal Wetlands Protection Act) in 1989, provides the framework for protecting and preserving the area’s nontidal wetlands. Nontidal wetlands are extremely important to us. Although, nontidal wetlands have many of the same biological characteristics as tidal wetlands, nontidal wetlands are inland, freshwater areas not subject to tidal influence. Wetlands are important natural resources providing numerous values to society, including habitat, flood protection, erosion control and water quality preservation. Nontidal wetlands are important to a healthy environment. We are blessed with diverse populations of flora and fauna and many species of wildlife use nontidal wetlands for breeding, wintering and migrating. Wetland vegetation helps in reducing erosion of banks. The wetlands at the National Harbor site are small, palustrine forested wetlands and intermittent stream channels that originate at seepage areas above the Potomac River floodplain. In the wetland and immediately adjacent to the stream channels, the forest canopy is dominated by red maple, green ash, common elderberry, spicebush, Virginia bugleweed and fowl manna-grass occurring in the shrub layers. 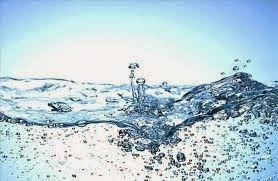 Before reaching the river, the intermittent water infiltrates into the soils and does not reach the Potomac River. The Prince George’s County Department of Environmental Resources has also approved the stormwater management plan. National Harbor will use Best Management Practices (BMPs) for stormwater management: infiltration trenches, dry well, porous pavement, detention ponds, wet pond with shallow marsh fringe, submerged gravel filter, perimeter sand filter, underground sand filter, grass filter swale with check dam, and curb less parking lot with bio-retention filter in island. I am confident that the developer will incorporate state-of-the-art techniques and technologies to assure the maximum protection for the Potomac River and the nearby watershed. The National Harbor site is absolutely beautiful and will serve as a great experience and view for all. I think the opponents of the project will also visit the facility once it is finished. They should bring their families. I can’t wait for my eight-year-old son to enjoy National Harbor. We are also boaters and will enjoy the experience of National Harbor from the water. I enjoy teaching my son about the importance of protecting wetland areas. This instruction includes visits to wetland areas, mitigation techniques and practices and the great benefits of appropriate economic development. Thank you for this opportunity to testify before you this evening.